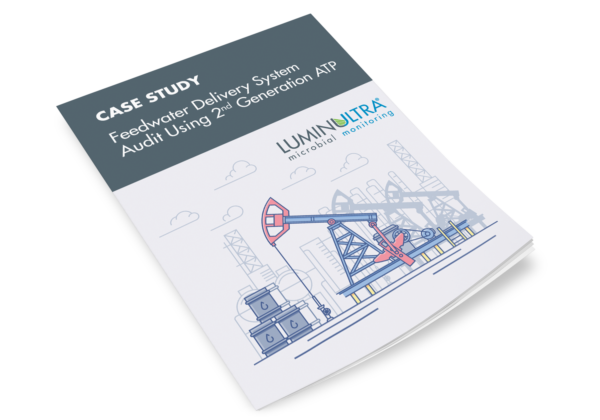 A Western Canadian oil producer utilized LuminUltra’s Quench-Gone Aqueous (QGA) test kit to perform an audit of its feedwater delivery system. The site acquired water from underground brackish water wells and transported this water through a 5-kilometer pipeline to the site. Water was then stored in a large tank prior to being sent to the process. The goal of the site audit was to assess microbiological accumulation throughout the water delivery system.